unwavering guidance and support, all of this could never have happened. Dan and Evan are his brothers (ten and eight years older). American civil rights legend Andrew Young shares parables and pieces of history with godson Kabir Sehgal in this fantastic conversational biography. Go get it. Seriously ~ go read this book. Bill Clinton wrote the forward. Maya Angelou’s glowing review lights up the back cover. Go go go! 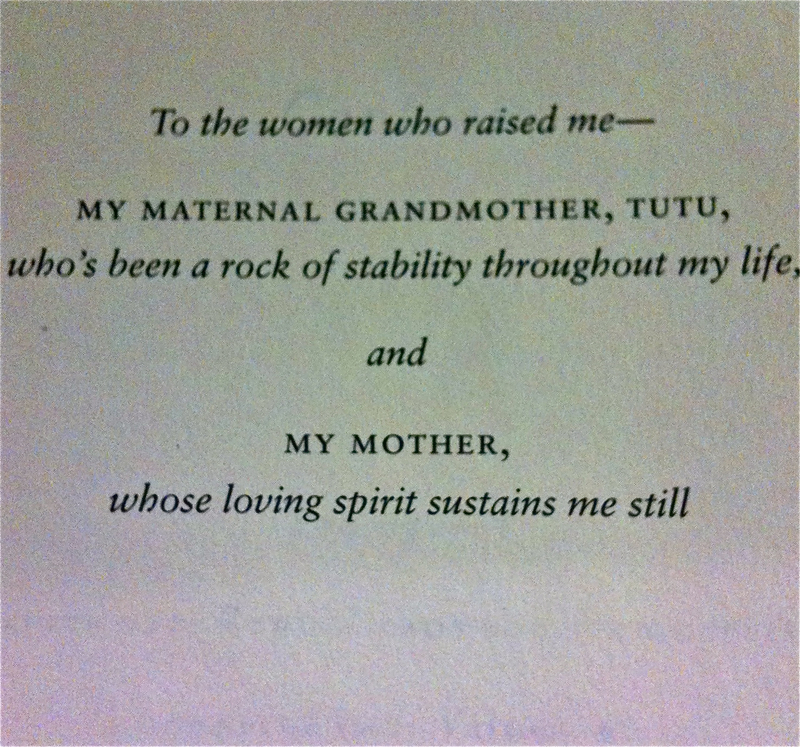 In honor of mother’s day tomorrow, we’re posting this dedication from Barack Obama’s second book. My maternal grandmother, Tutu, who’s been a rock of stability throughout my life, and my mother, whose loving spirit sustains me still.